Football blogs come in all different types, shapes and sizes. Being a football nut we love football blogs on all sorts of topics so thought it would be a great idea to have all the blogs we could find in one place. 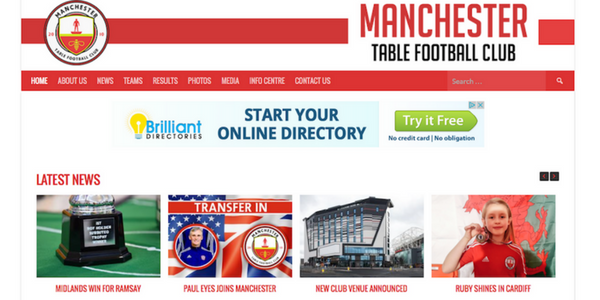 Then, we thought we’d call it the Football Blog Directory. Ground breaking stuff. 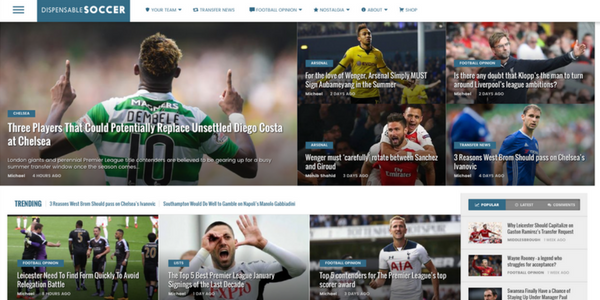 Dispensable Soccer – “We offer match reports and football based features which you can comment on and join in the discussion.” Transfer news is also covered along with a personal favourite – the nostalgia section. Even football stickers are covered! Chelsea FC Online – Chelsea FC Online is an unofficial news website dedicated to Chelsea Football Club, providing match previews & reports, news, opinion pieces and editorials. Unlike your typical fansite, our content is written in a professional, neutral tone – with personal opinion not getting in the way of engaging and factual reporting. The Football Lab – voted by the judges of the FBAs as the Best New Football Blog in 2016, the aim of this excellent site is to provide regular insight, opinion and in-depth analysis on every club in the top 4 leagues of English football. Manchester Table Football Club – The official website of the 2015 UK & Ireland Team Championship runners up, these boys (and some girls) know a thing or two about the nation’s favourite table football game, Subbuteo. You can get involved yourself too if you want. Live Scores – The number one authority for live scores as they happen as well as recent results. However obscure the game, and wherever in the world, they have it. Any punters dream! Soccer-Rating – Need help with your bets? Here you go! European Football Club Rankings based on 1×2 bookmaker’s odds. More than just the Premier League covered here too, so well worth a look. Yak Yak Sport – Football news and gossip from around the globe and not just within the UK. All the news is bang up to date and the site is unique in that all the news is less than 24 hours old! Novel! If all that wasn’t enough they also cover boxing, F1, tennis, rugby, cricket and some other sports which we’re not interested in. Good stuff chaps. El Arte Del Futbol – A platform for passionate football fans in India to comment on the beautiful game in all its glory. EADF cover Europe’s top 5 Leagues along with the U-17 Fifa World Cup bringing out exclusive Long-form feature pieces and in-depth analysis’. 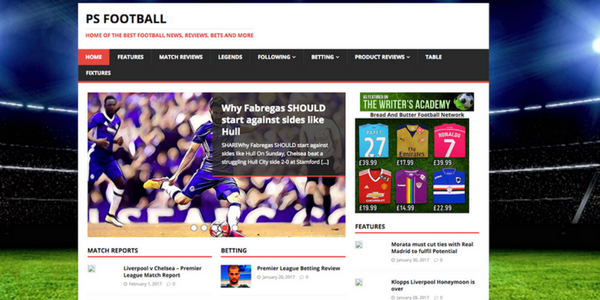 It acts as a one stop place for all the football content one might want to access. Retro Football News – A nice combination of up to date news plus features and articles about players from the past. A decent read. Get the latest football news and opinions on retrofootballnews.com. The Rainham End – Ben Thompson is a Gillingham fan who goes the extra mile home and away every week. He’s also a self proclaimed ‘part time groundhopper’ who has so far managed 76 of the 92 along with a heap of other grounds. Respect due to the number of miles this chap has covered. Football In Cider – Free predictions created using artificial intelligent neural networks. Yup, a computer giving football predictions. With pretty decent accuracy from what I can tell!